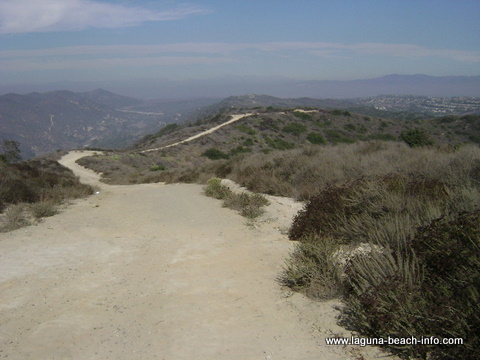 West Ridge Trail is a hike trail suitable for hiking, running, or mountain biking. 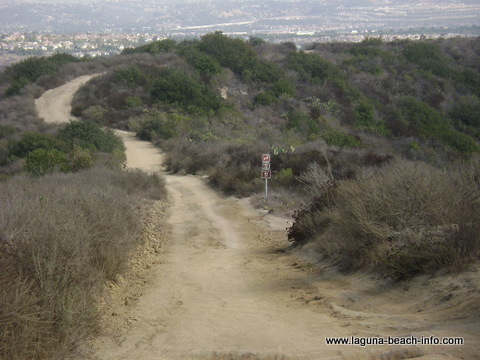 The trail starts at Top of the World Park in Laguna Beach and ends at the Canyon Acres Trailhead. You'll see beautiful canyon views and panoramic ocean vistas. The primary trail is a wide fire road with frequent changes in elevation, which will get your heart pumping! 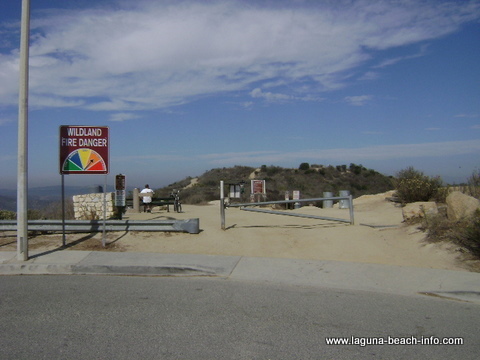 This is the trailhead gate at Top of the World Park. 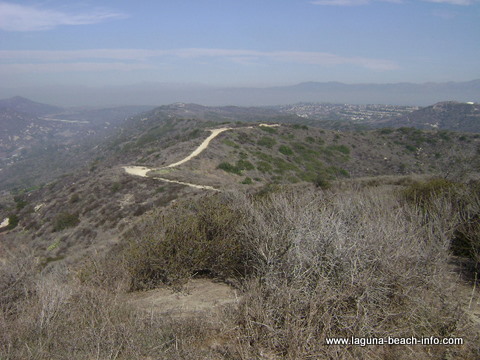 As you hike along the canyon, you'll find great views of Laguna Canyon! The way West Ridge Trail winds around the hills, you can often see the trail ahead as it ascends the landscape that you'll soon encounter! 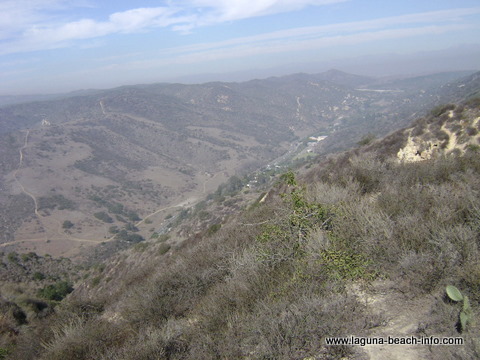 These are some more of the views of the hiking trail from farther up the hill! 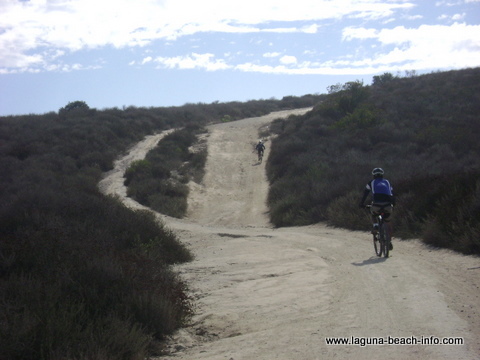 With a wide variety of hills West Ridge Trail is great for Mountain Biking! 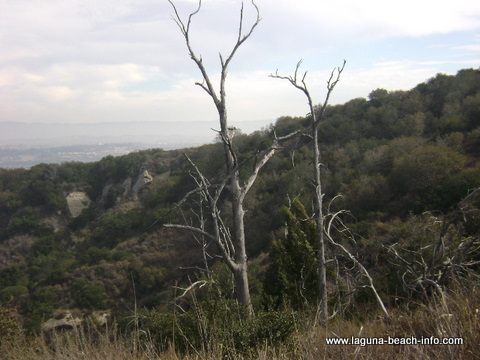 The wildlife is abundant on the trails around the Laguna Wilderness Park. 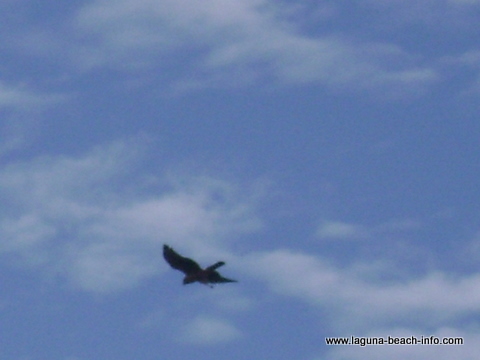 Here I tried to catch a photo of a hawk soaring above me looking for lunch! These are some of my favorite old trees that you'll pass at the base of the hill leading up to Mathis Trail.